This is my mom’s summer cheese burger recipe. She has made these burgers for YEARS and we love them. My whole family. Basili requests these every time we visit them. They are SO. GOOD. 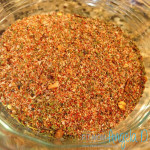 She uses the Montreal Steak Seasoning, so I found a recipe to make my own steak seasoning blend. I wanted to make sure I know how much salt was in there and that there was no sugar or any other additives. The best part is, these delicious burgers are both 21 Day Fix AND 21 Day Fix Extreme approved!! Ingredients in and ready to be mixed. 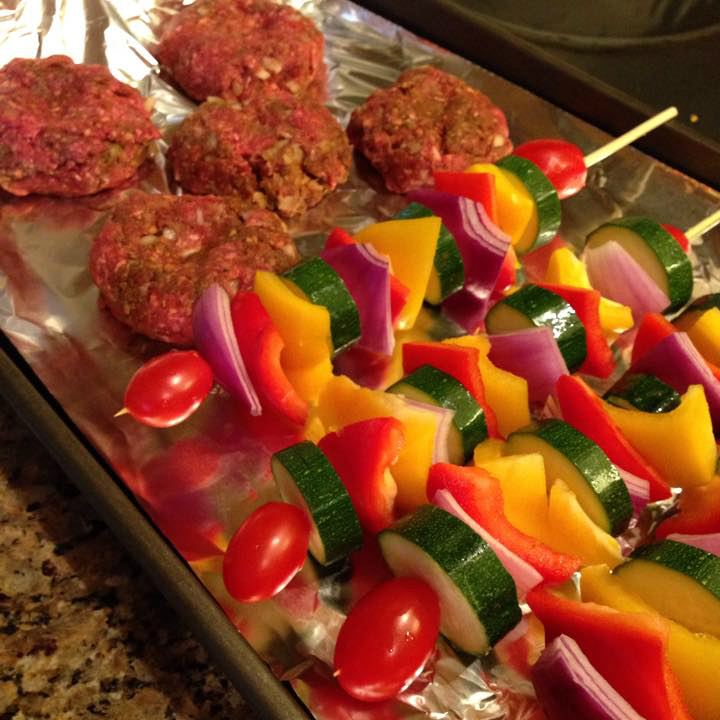 Our meal, ready to hit the grill! Loving all of the colors. 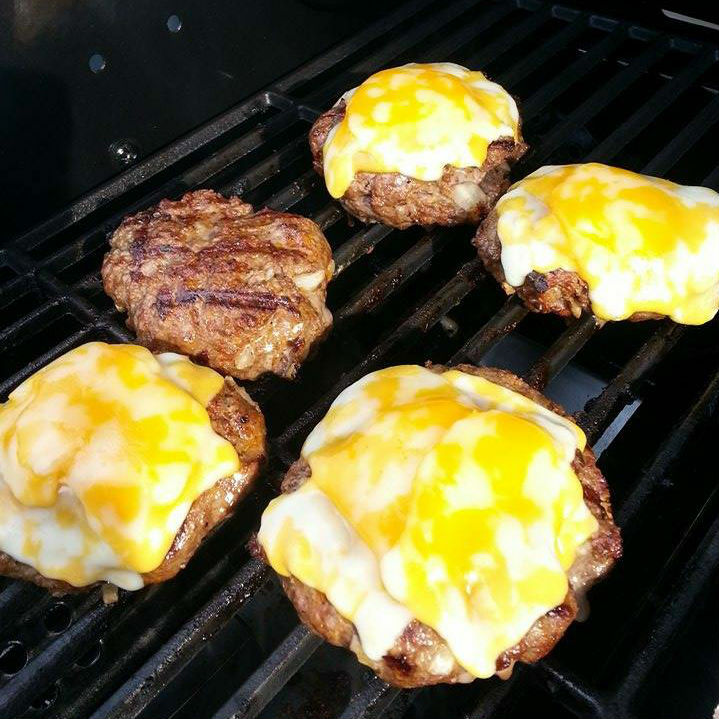 Burgers are sizzling on the grill – perfect for your next summer cookout! Top your burger with cheese and/or avocado, some Dijon mustard and the usual burger fixing’s (no pun intended!) – wrap it in a romaine leaf (or a thin whole grain sandwich bun) and BOOM – Fix approved backyard burger EVERYONE will enjoy! 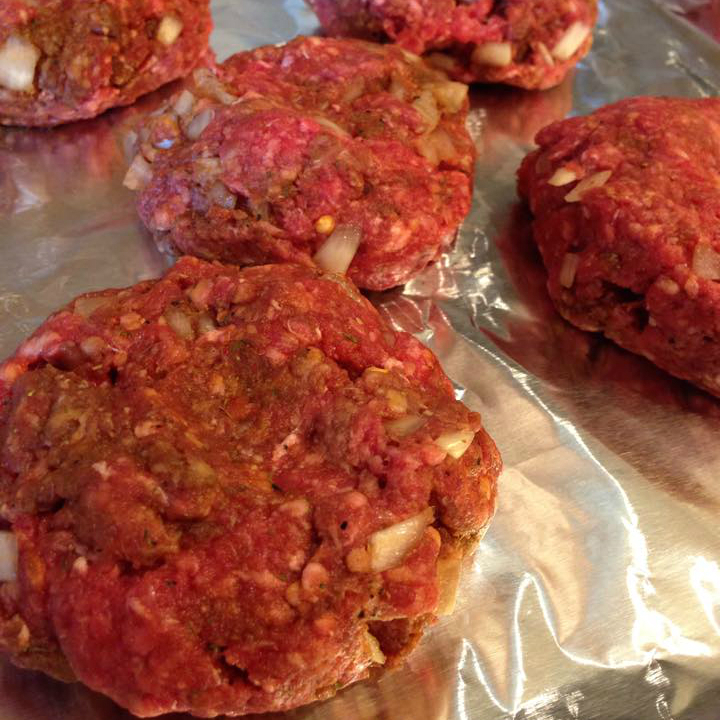 These burgers are a summer staple at my house AND my parents house. 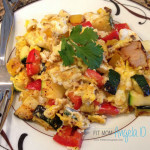 They are so flavorful and so delicious! Enjoy! 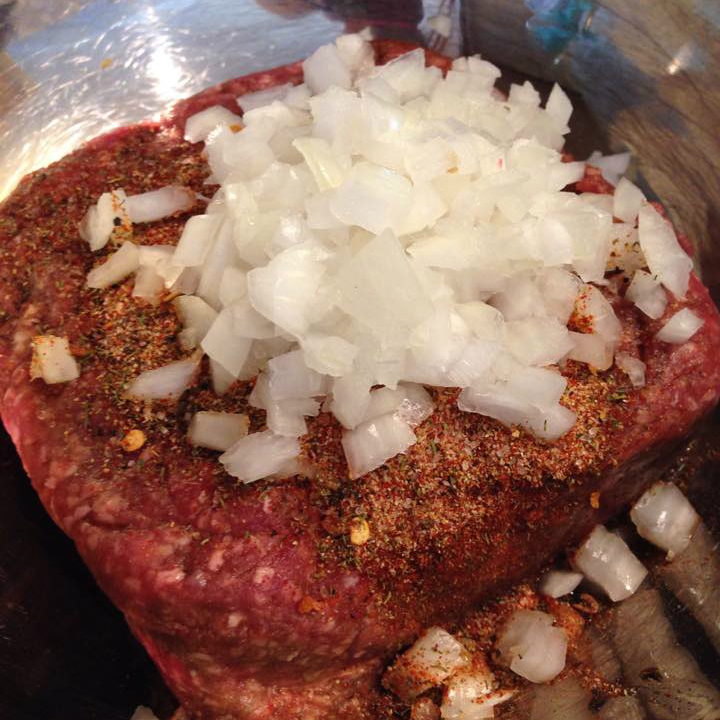 Combine all ingredients to the steak seasoning in a bowl. Mix well. 1 red, 1 yellow (if using a bun), 1 blue (if having cheese or avocado) (YES - I'm aware there is some onion in here - that would be a green, however it is such a small amount divided 8 ways. Seriously, don't worry about it!